That is to say, not much packaging, just the bag in a plastic bag. 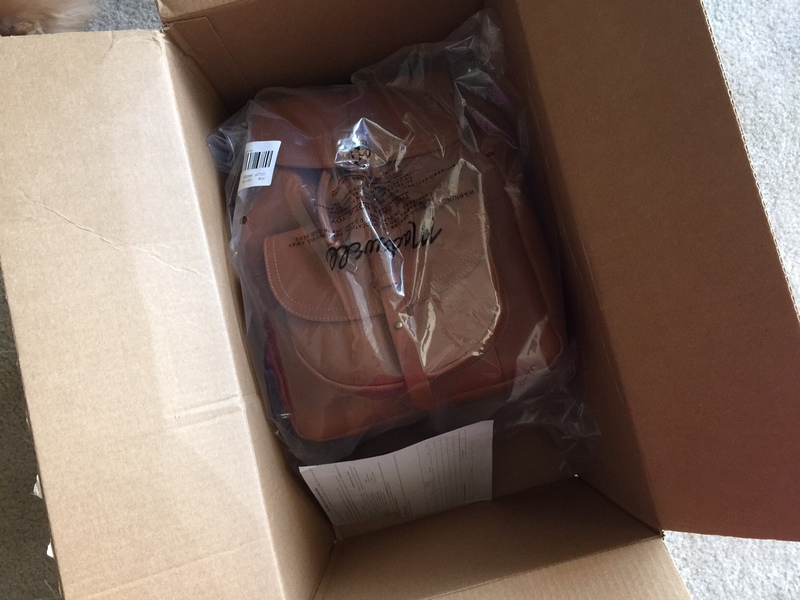 When I lifted the bag out of the box, I was surprised at how heavy it was. Probably the heaviest bag I’ve ever had. There is some stuffing inside but how much could those fluffy tissues weigh? The color is spot on. A bit lighter than my Transport tote, but it’s a very rich, beautiful cognac. I noticed the flap portion is relatively natural looking with striations and some pebbling but the rest of the bag is very, very smooth. The leather is thick and pretty stiff. 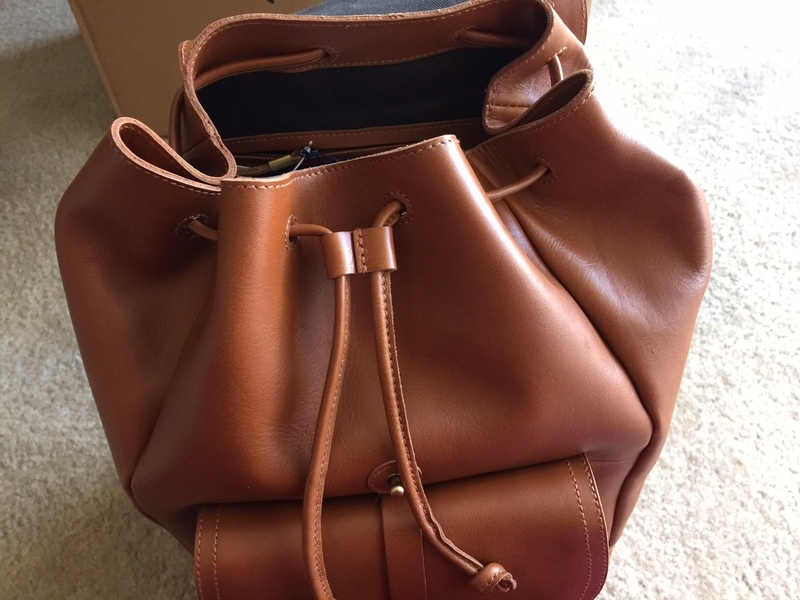 The leather was so stiff in fact that it seemed a bit difficult to maneuver this drawstring as the folds of the “bucket” were not so willing to be folded. This is probably something that will soften up with wear. I hope. 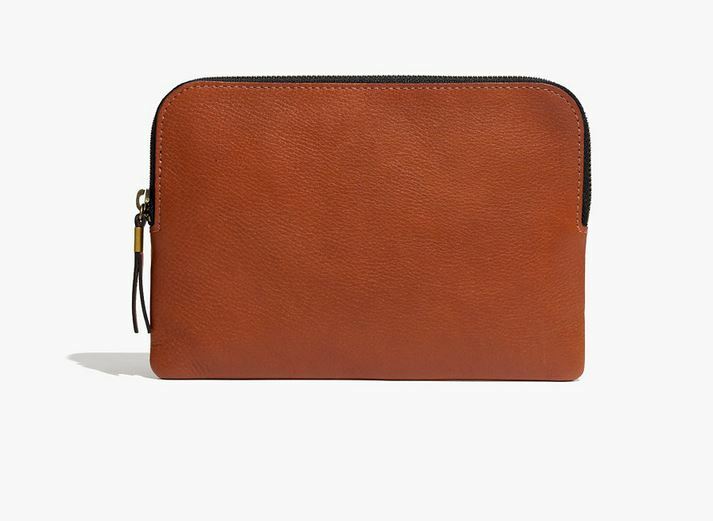 The inside is black canvas, with nice zippered and unzippered pockets for all your loose misc things. Pretty convenient. When I went to close up the flap, I realized this was a flaw of the bag. There’s no magnetic snap-in-place closure, it’s just that hole with the tiny knob. You have to push the hole through the knob by pushing it against the bag body, which is soft and simply moves back when you push on it. Took me a few minutes just to close it. Can’t imagine how hard it’d be to do if it was slung on my back and I was on the go. 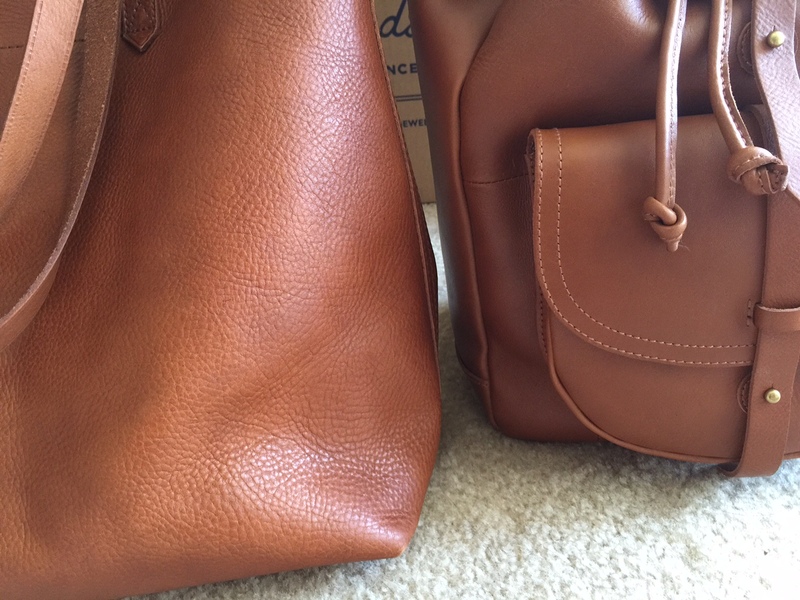 Here’s a comparison picture with my Transport tote for size comparison. 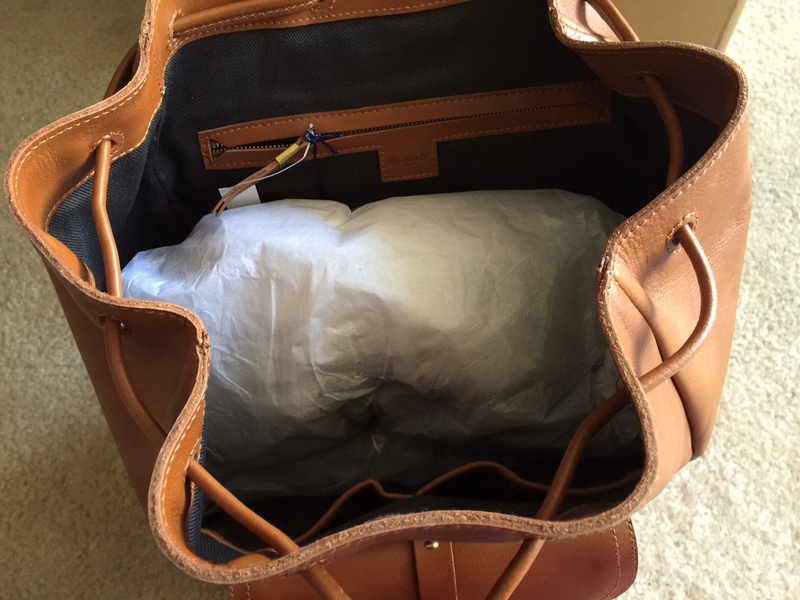 Similar, but the Transport tote is so light compared to this bag and feels easily accessible. 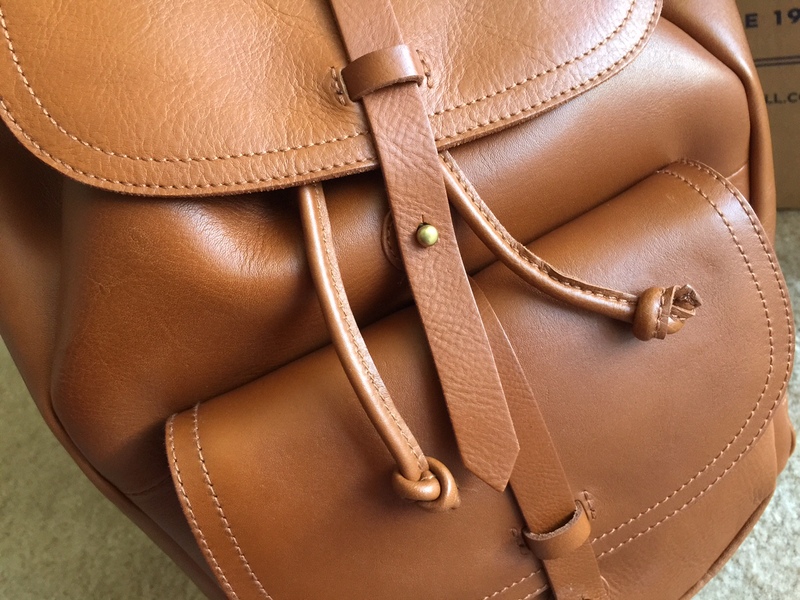 Also notice the difference in leather type; the tote is very pebbled and more “raw” feeling, whereas the rucksack looks much smoother and more refined. Everyone’s preferences in leather are different, but for me, I love the raw, pebbled leather where there are striations and imperfections in the leather. 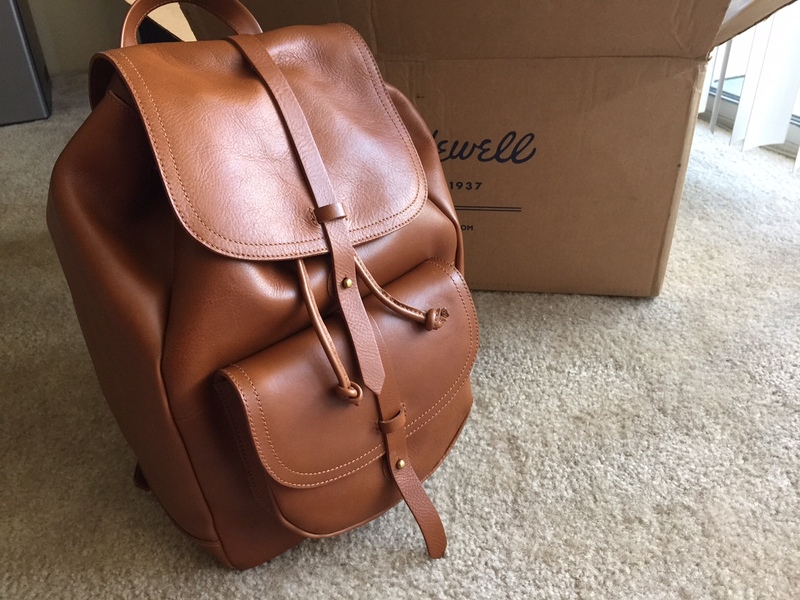 The more smooth leather feels overly processed to me and I’m not sure it’ll age as well. However, from my experience with the Transport tote, I know each batch and each bag is different. I’ve seen plenty of super smooth and plasticky looking Transport totes, so I’d recommend ordering a few or picking one out in the store. 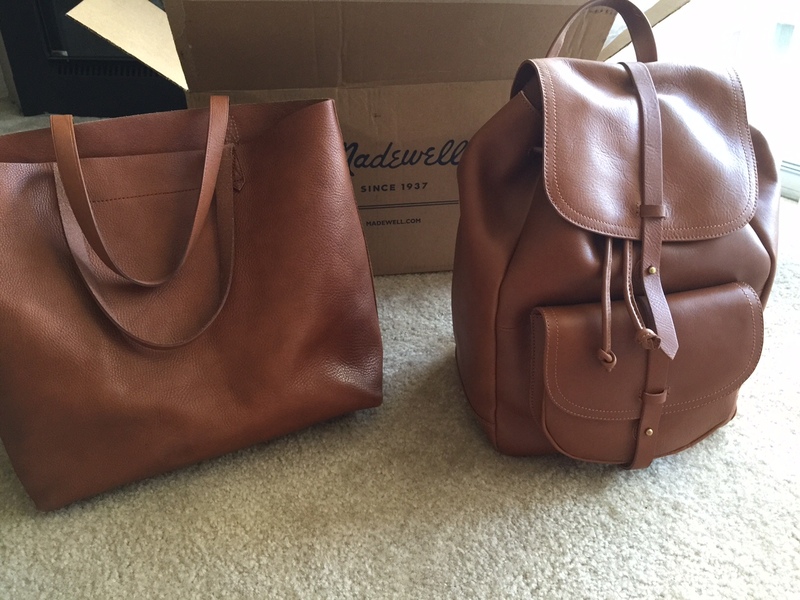 If you’re interested in the rucksack, get it here for $198 from Madewell. Also available in Wine and Black. 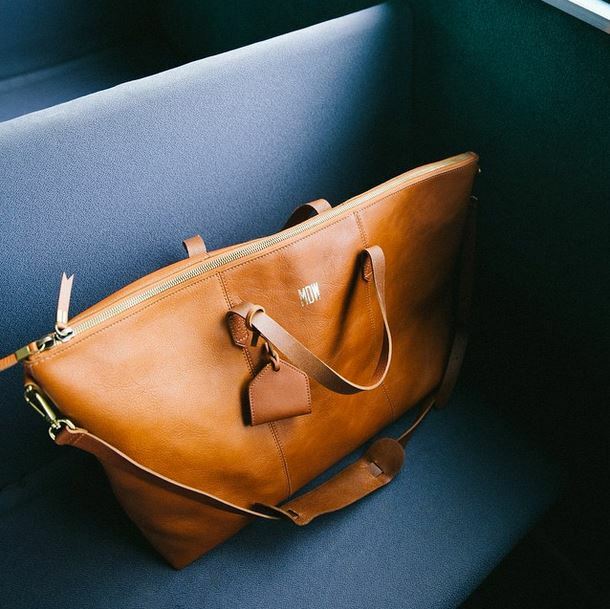 If you’re interested in the Transport tote, it’s even cheaper at $168. Get it here. 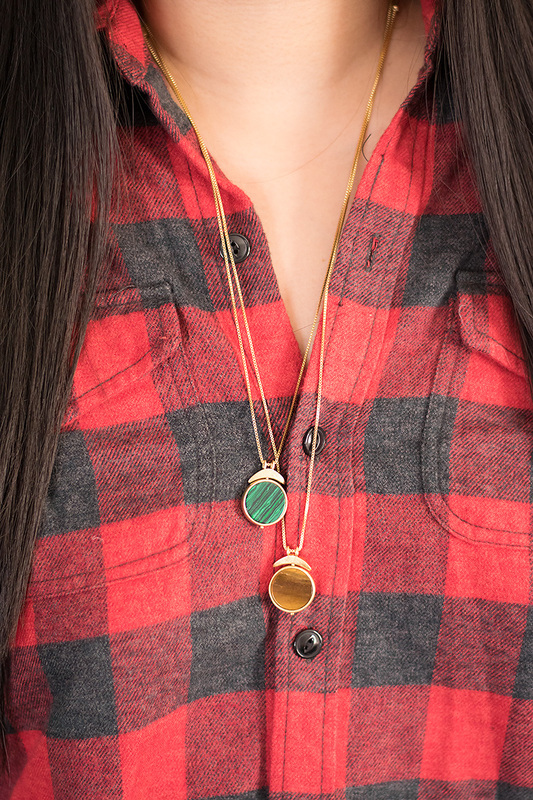 I was first drawn to these Madewell Pivot Pendants when I saw them styled on the Madewell site with the buffalo check flannel I reviewed in my last post; they intrigued me because I’ve actually never heard of an adjustable necklace before. 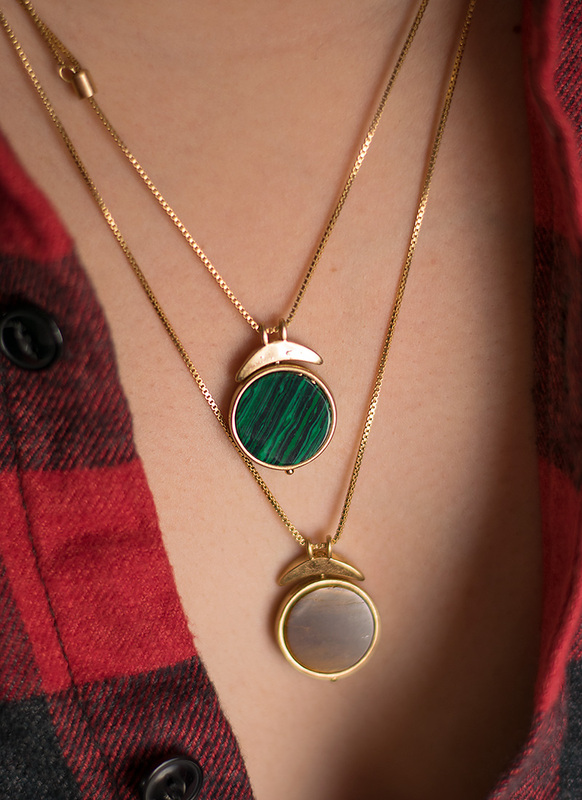 The malachite and tiger eye are also very pretty, so that didn’t hurt. In person, they are just as pretty. Loved these two colors paired with the gold, and though I wouldn’t have thought to put these two colors together, they do work really well. So well that it felt too sparse to wear just one! This might be the ideal length for them — long enough not to show the adjusters, but still very casual and pretty. 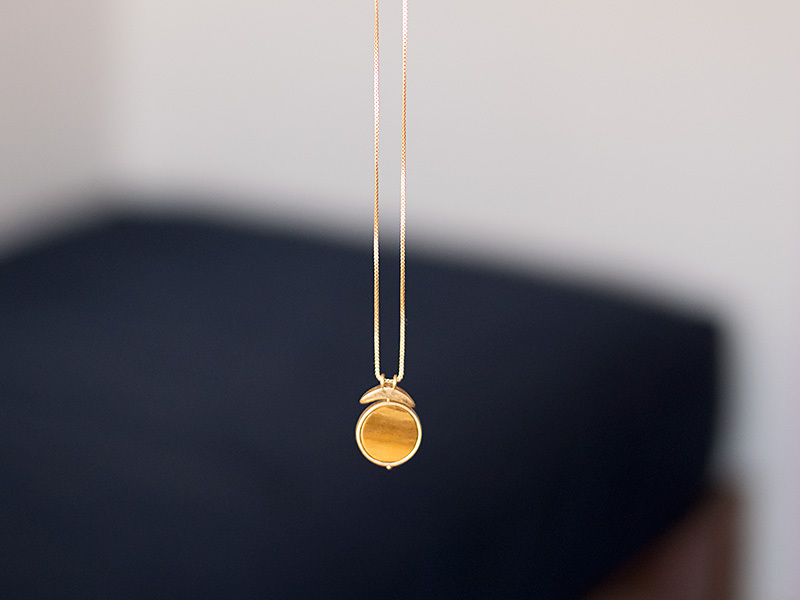 Any longer and it didn’t look right, almost like the size of the pendants didn’t match the length of the necklace. 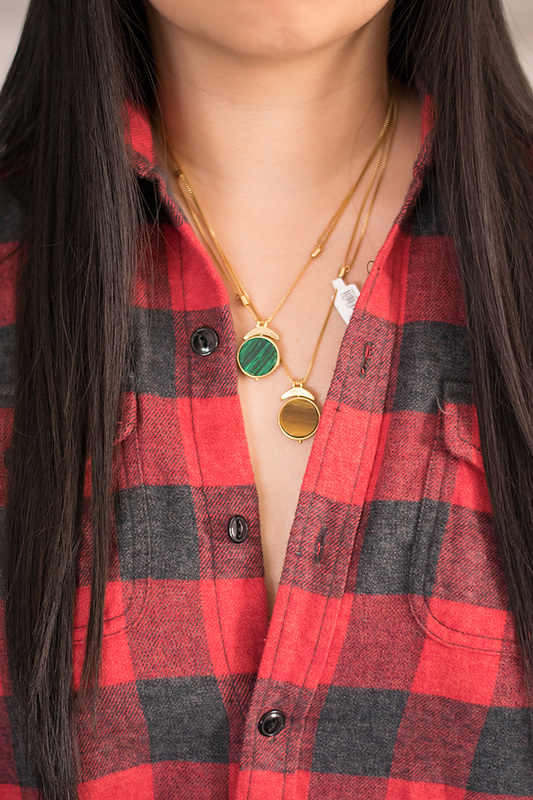 All in all, definitely great necklaces that I personally think work best together, and the adjustable length offers you a lot of versatility and variety of looks vs your average necklace. What are your thoughts? 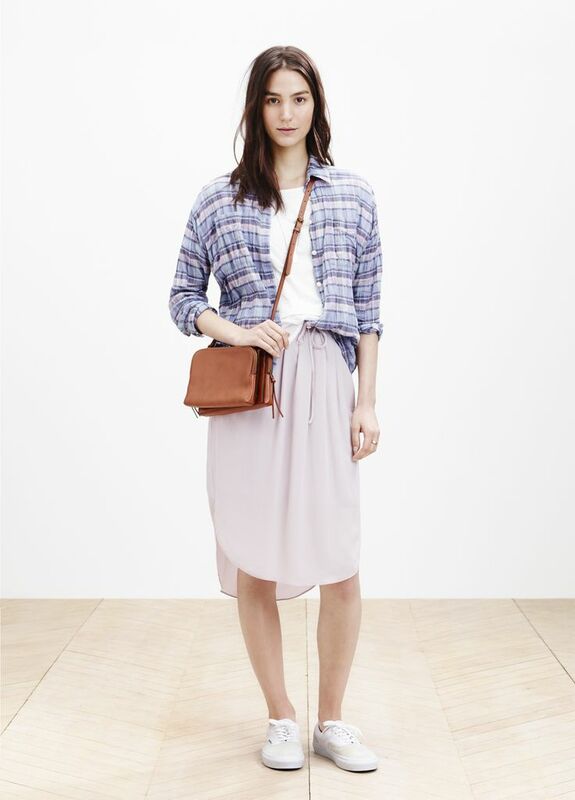 If you love it, get it here from Madewell for $38.